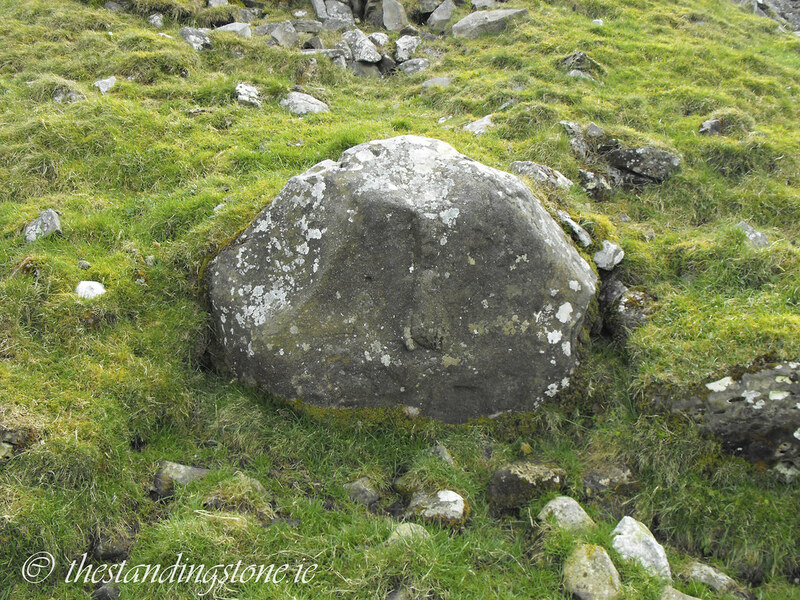 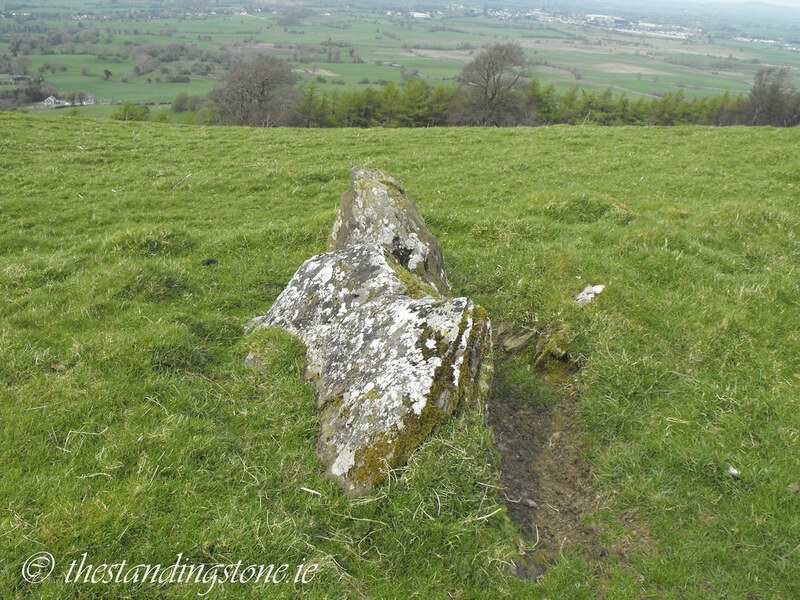 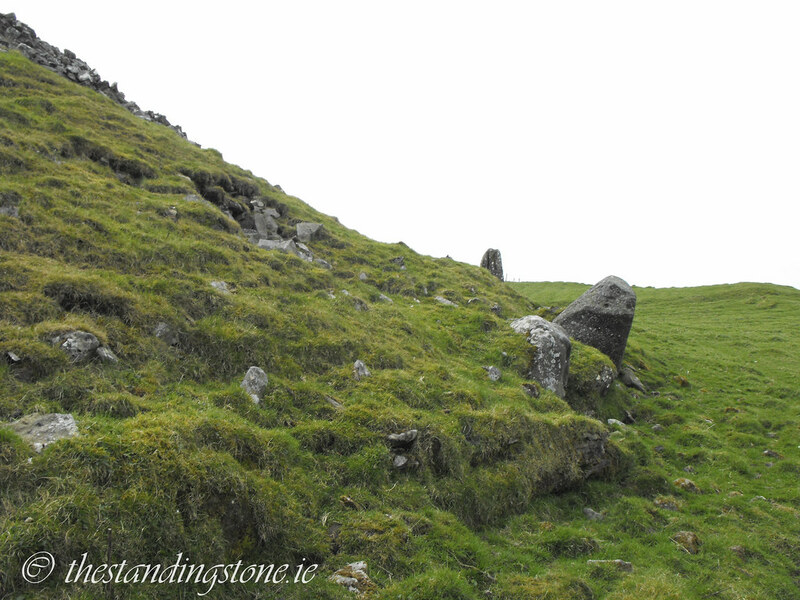 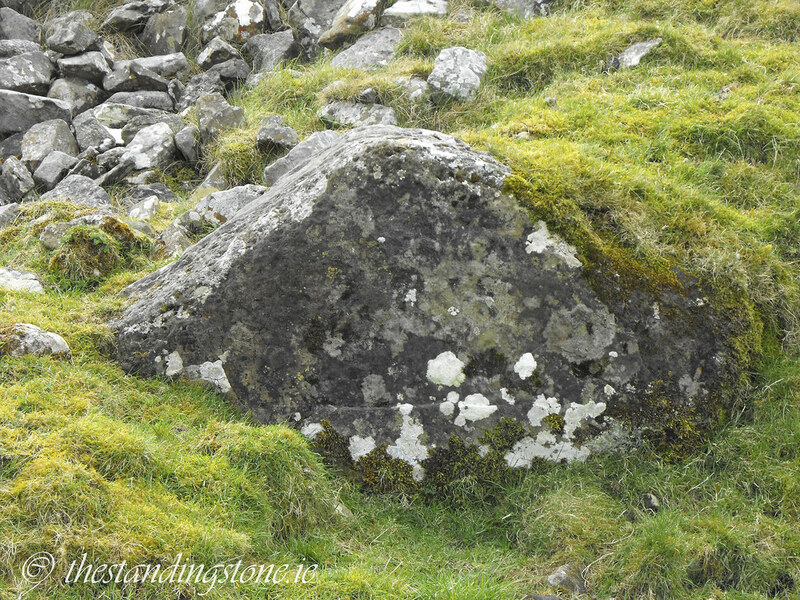 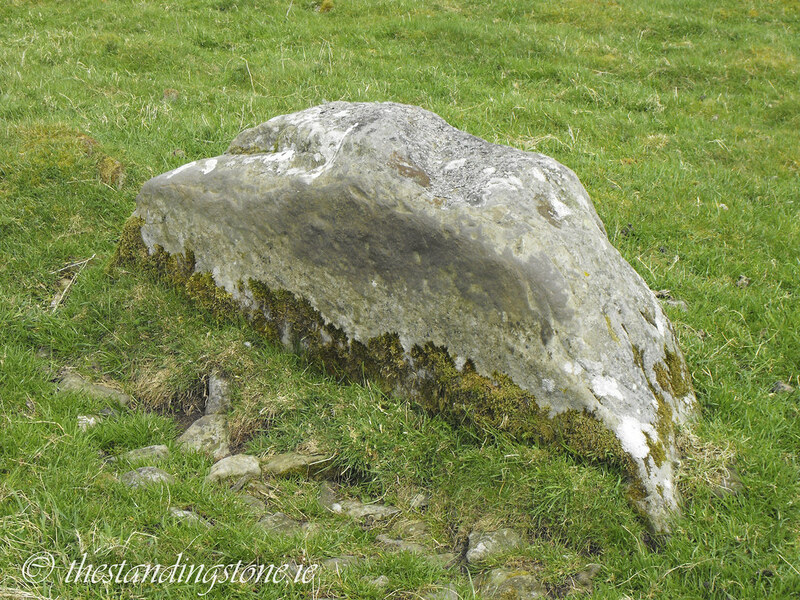 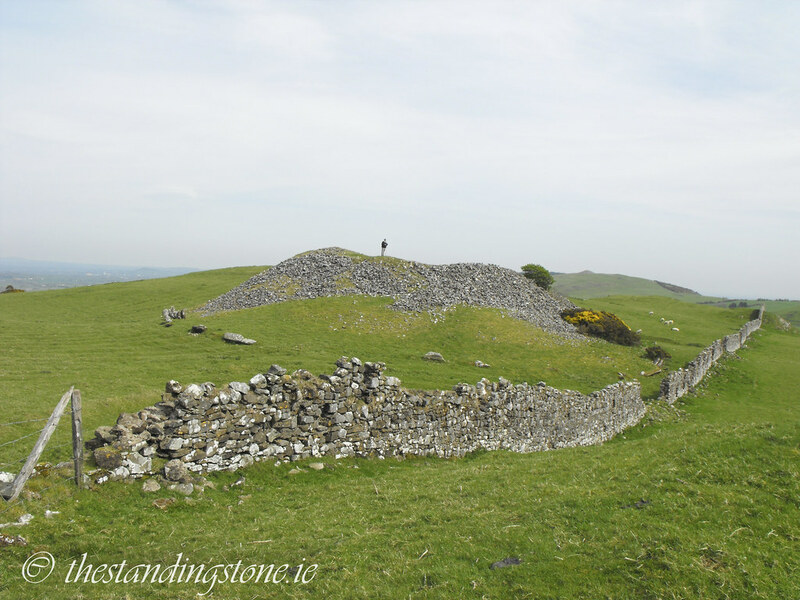 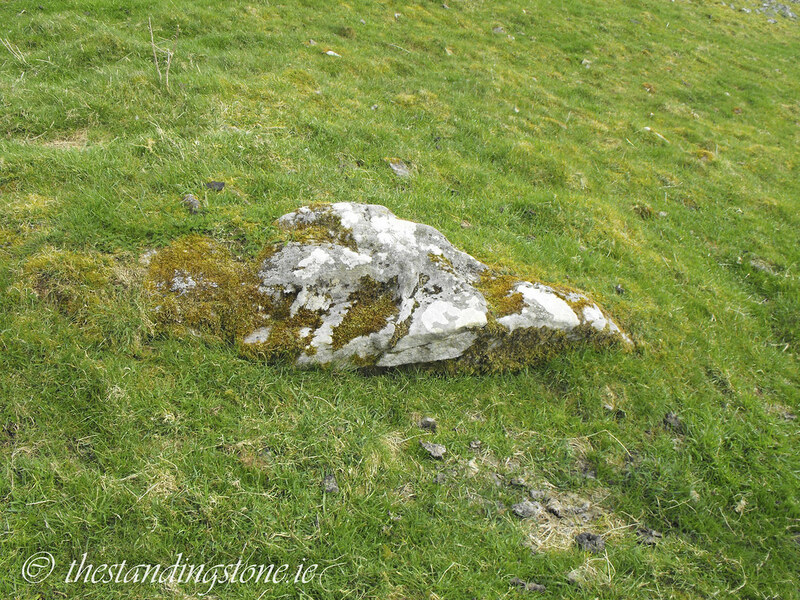 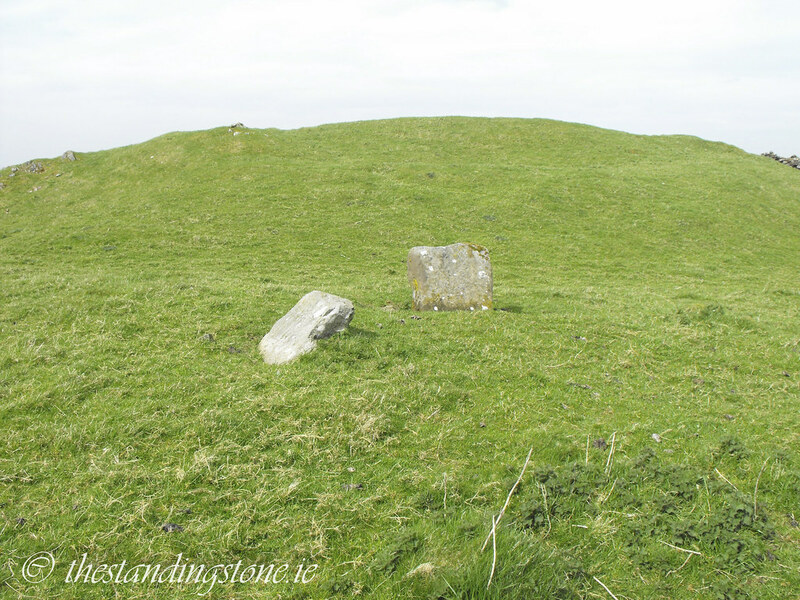 The Standing Stone: Cairn D, Carnbane West, Loughcrew, Co. Meath. 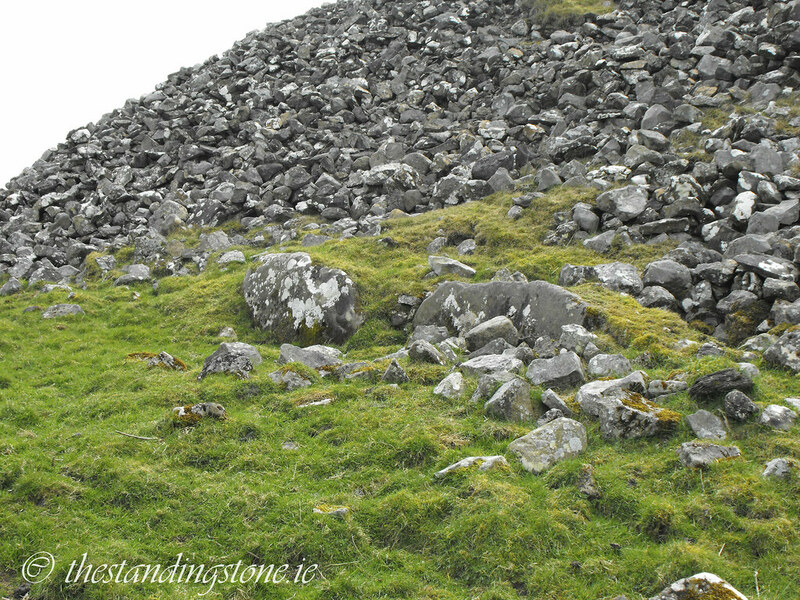 Cairn D, Carnbane West, Loughcrew, Co. Meath. 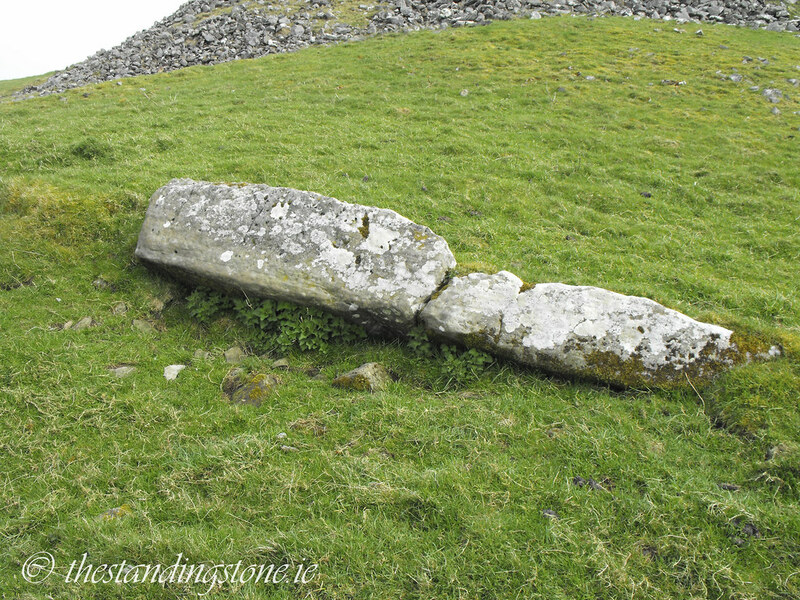 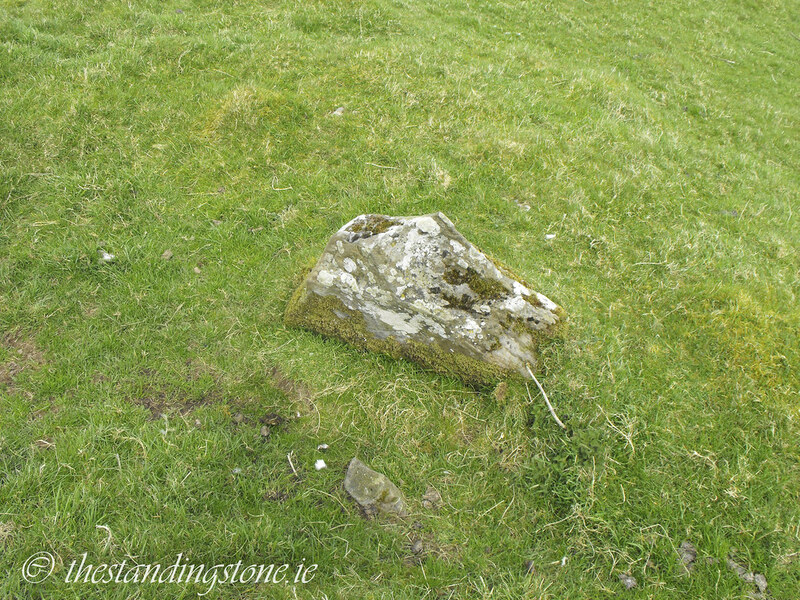 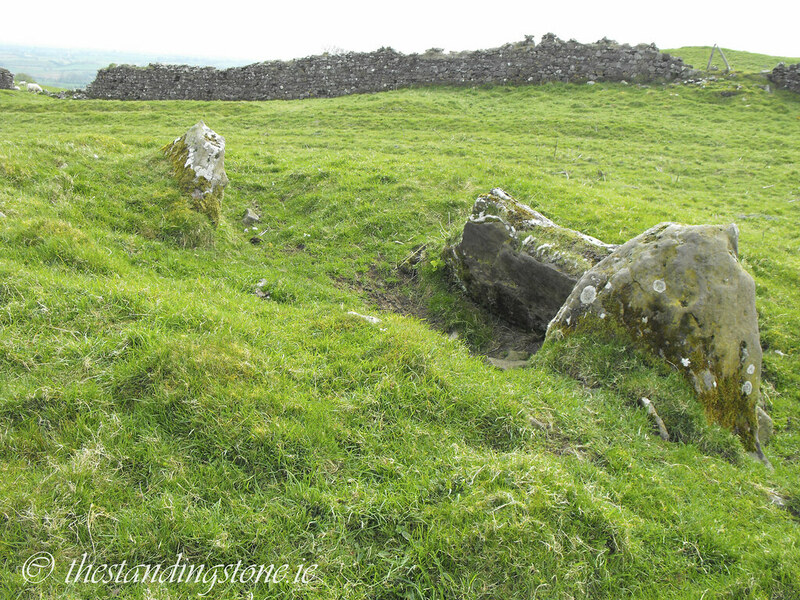 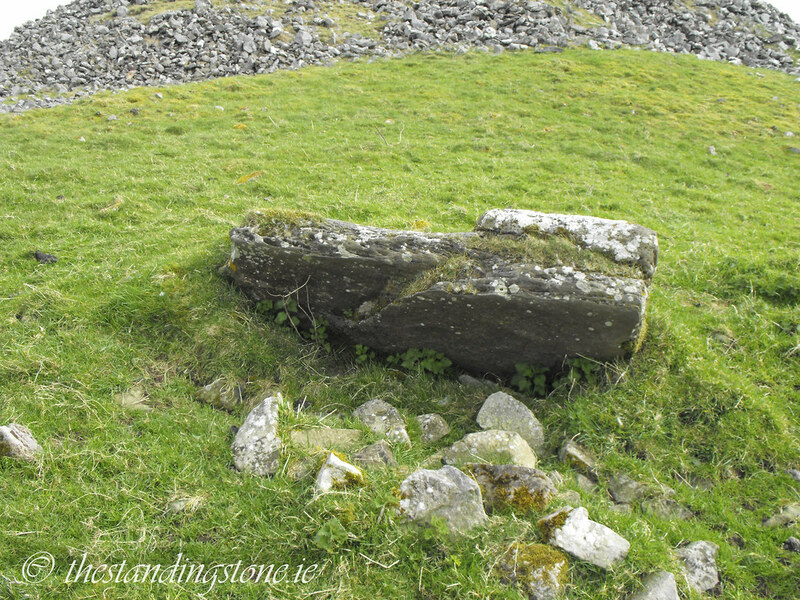 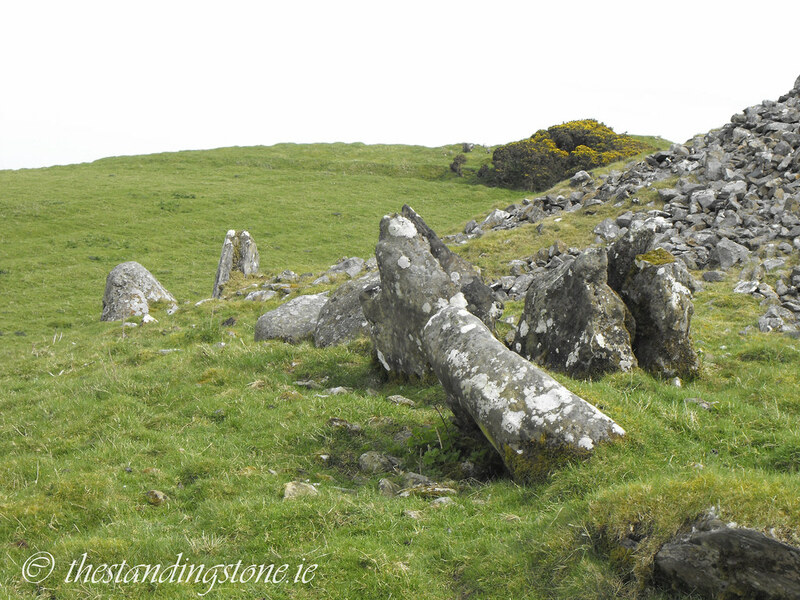 Location – One of the Western most tombs at Carnbane West. 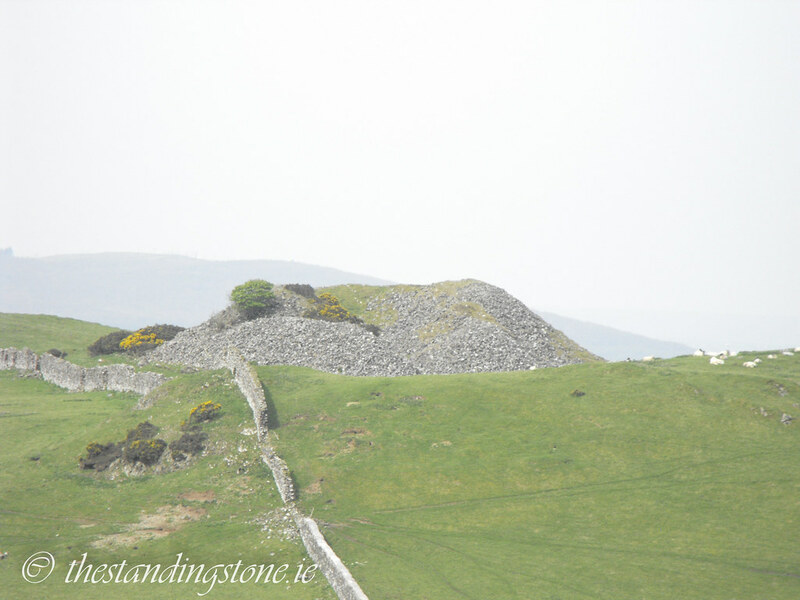 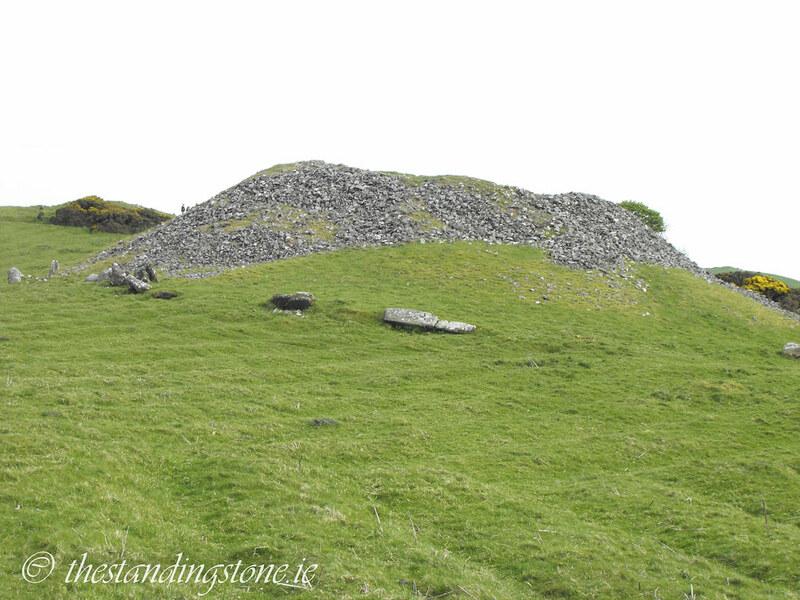 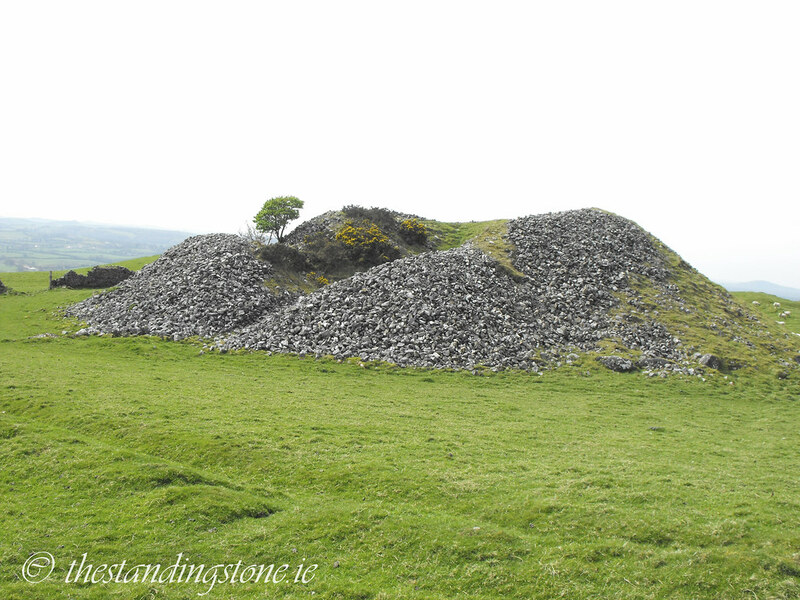 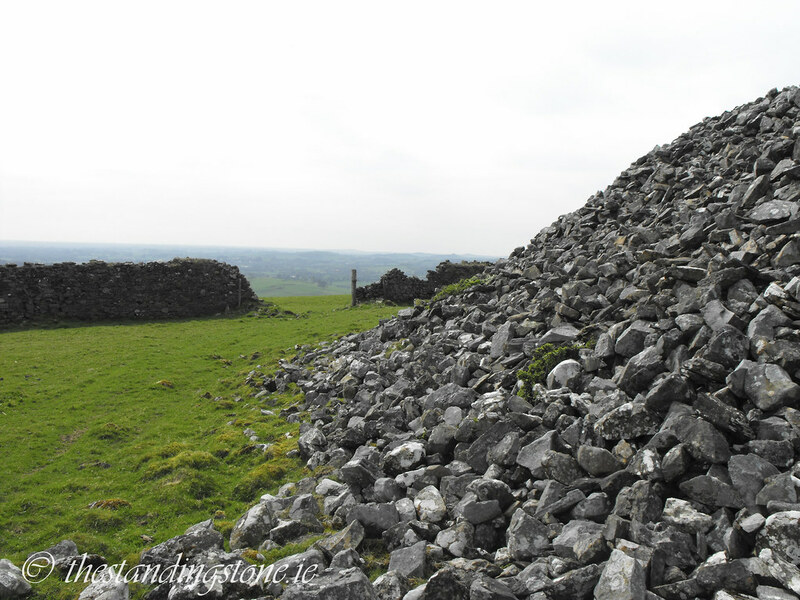 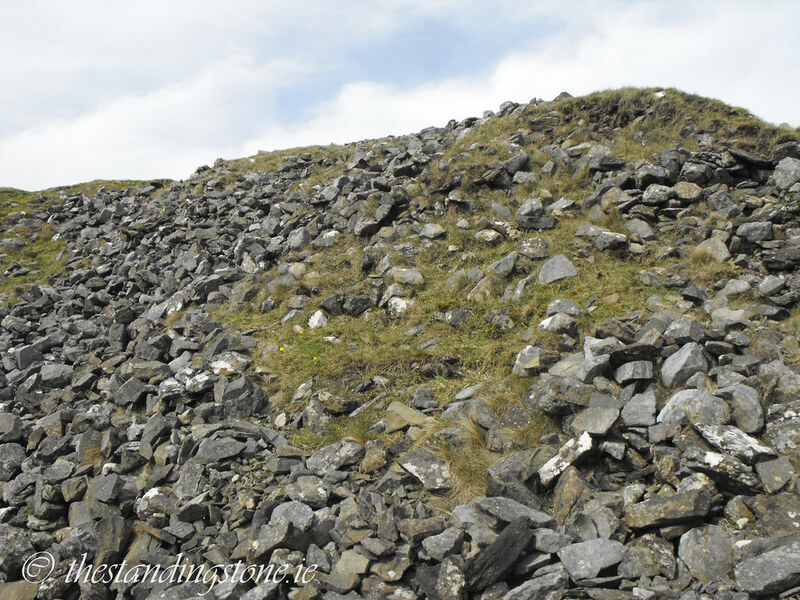 Description and History – This is one of the most intriguing cairns at the site and by far the largest. 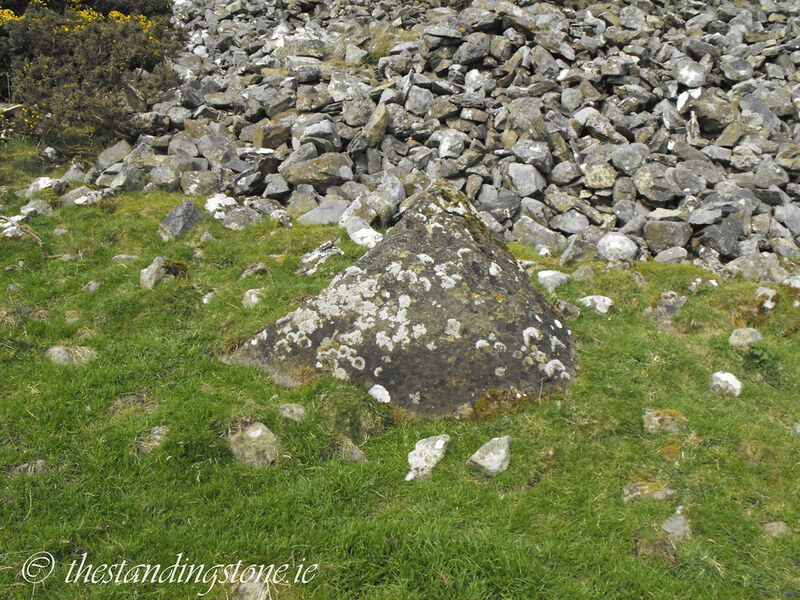 It reminds me of Heapstown cairn in Co. Sligo. 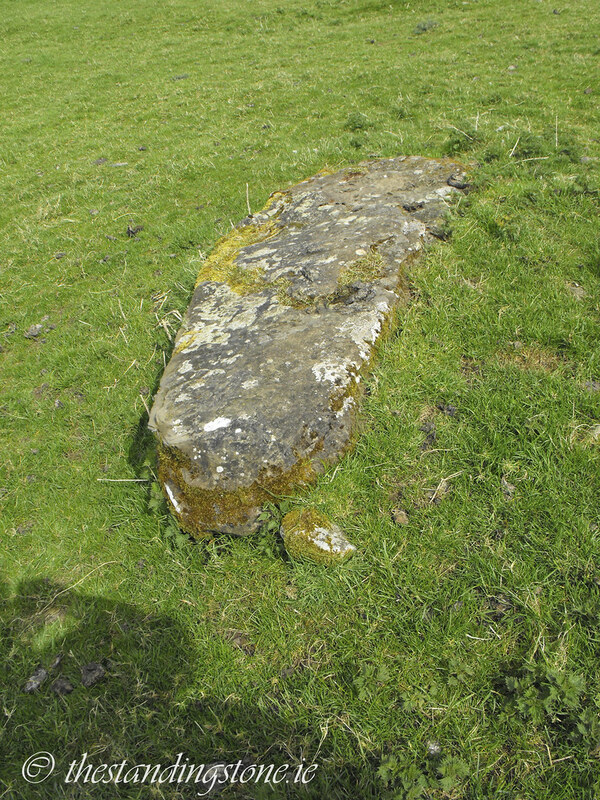 With a circumference of 163m and a diameter of 55m it is massive and can be seen from miles around. 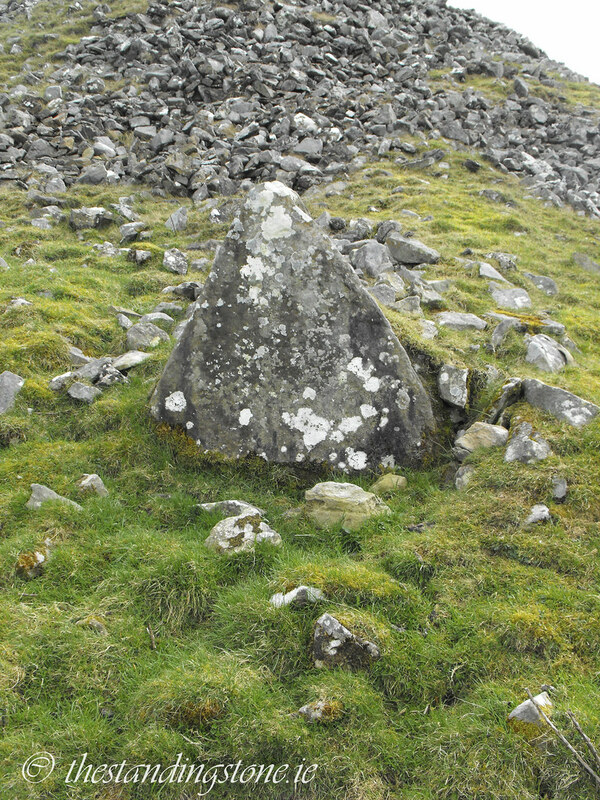 Until 1865 this cairn was undisturbed with a kerb of 54 stones, many of which are still visible. 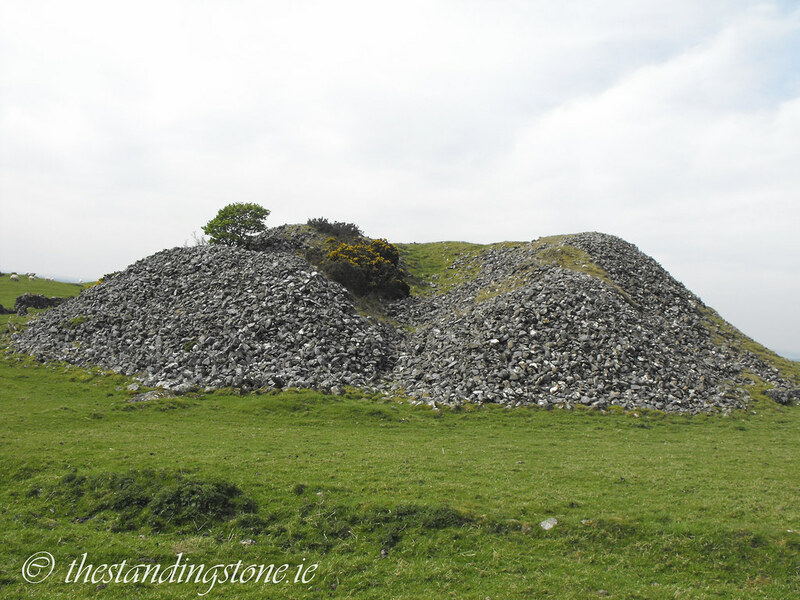 Eugene Conwell, who claimed to have discovered the cairns while having a picnic with his wife, set about finding the passage tomb inside. 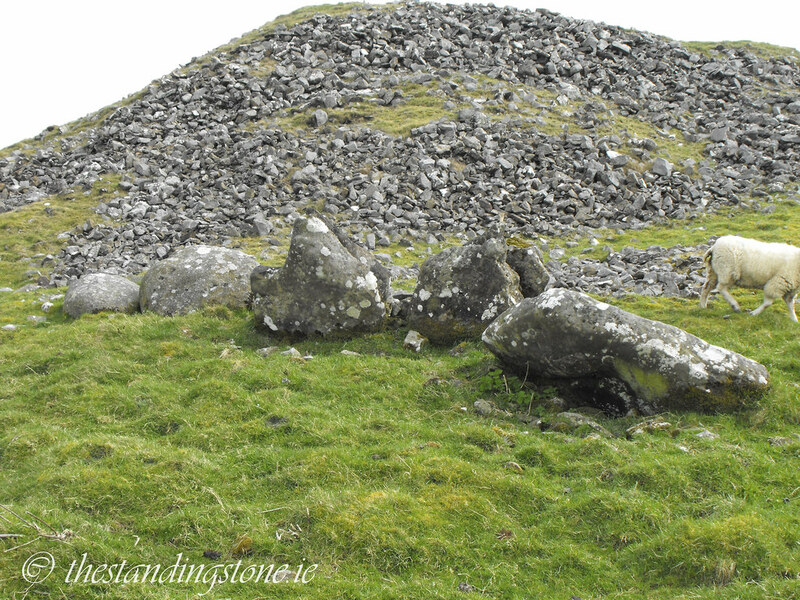 Alas, there isn’t a tomb inside, unlike the other mounds at the site. 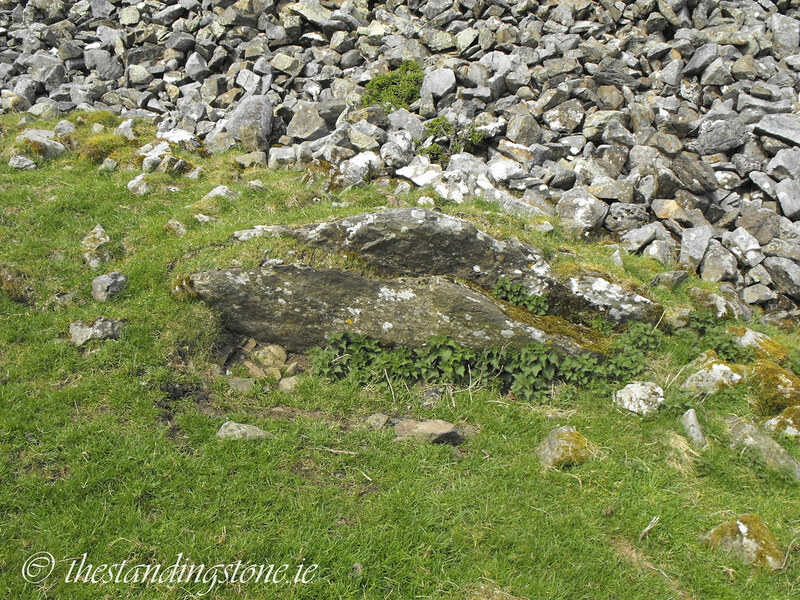 After removing a large portion of the tomb they abandoned it and that is how it appears today. 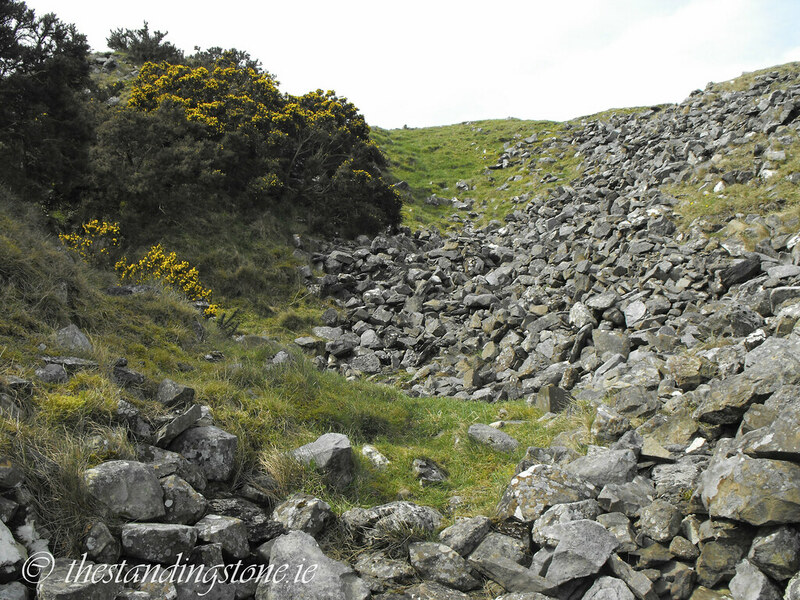 It’s fair to assume that the removed stones were used to build the nearby walls. 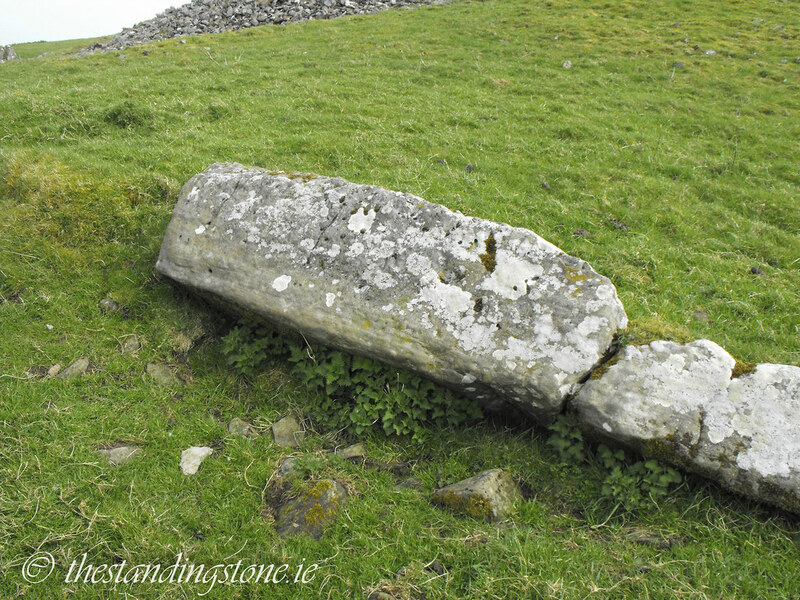 It is sad to think that the majority of the damage done to these tombs has been done in the last 200 years. 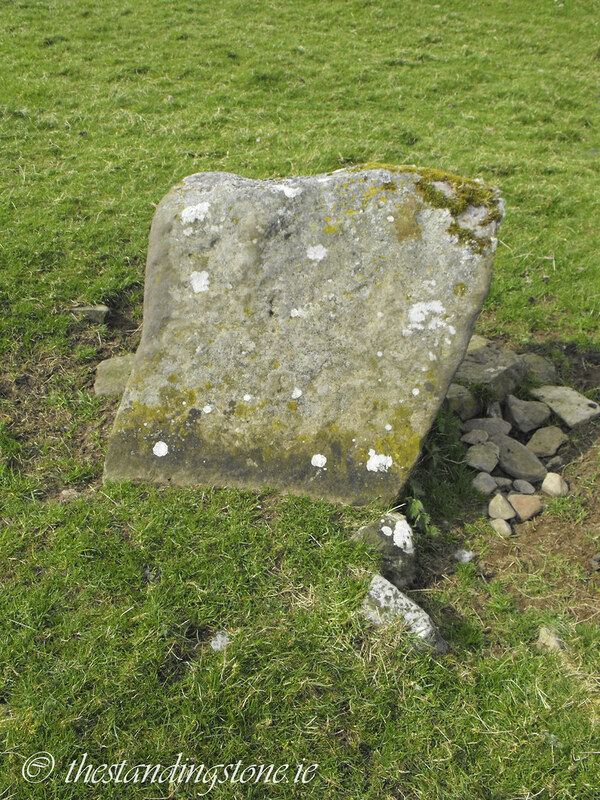 It appears that this may have been a cenotaph, a monument to a person whose body is not buried there, or perhaps a meeting place. 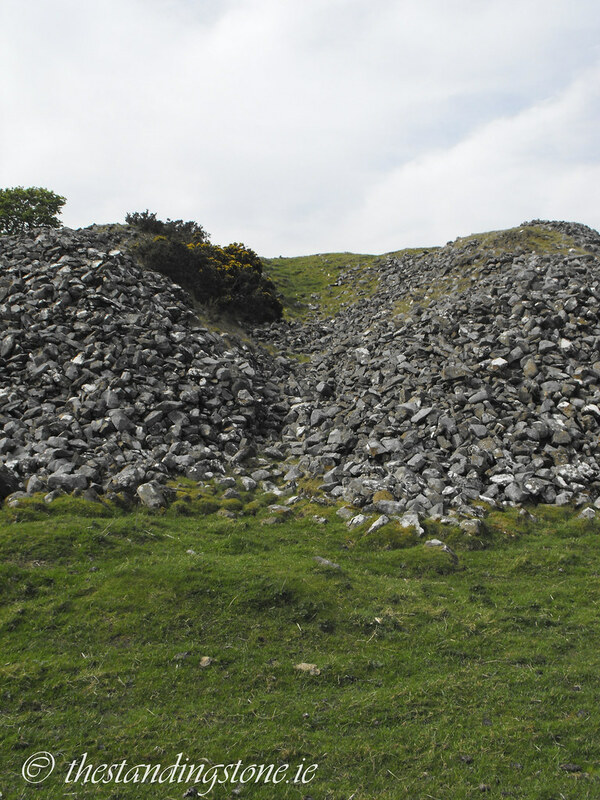 Of course, it is possible that both of these theories are false and that there is still an undiscovered chamber hidden inside the cairn. 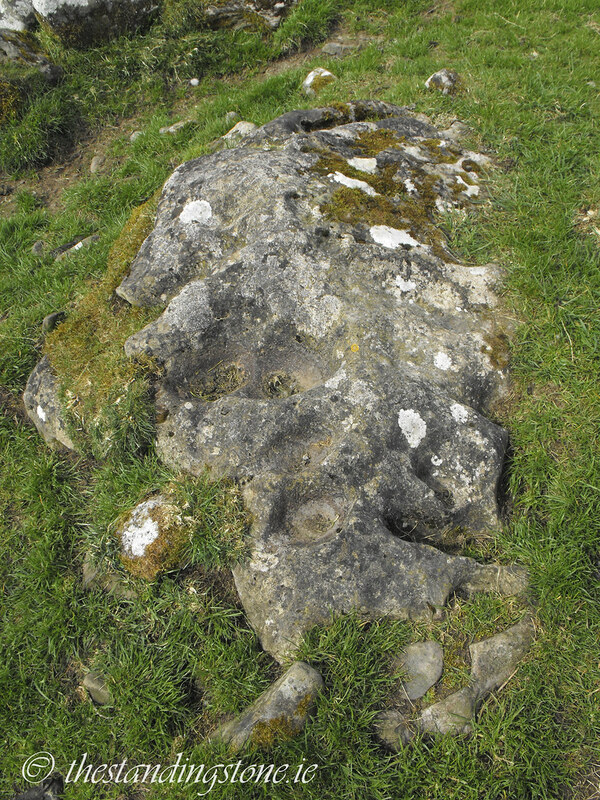 Difficulty – It’s impossible to not see this tomb. 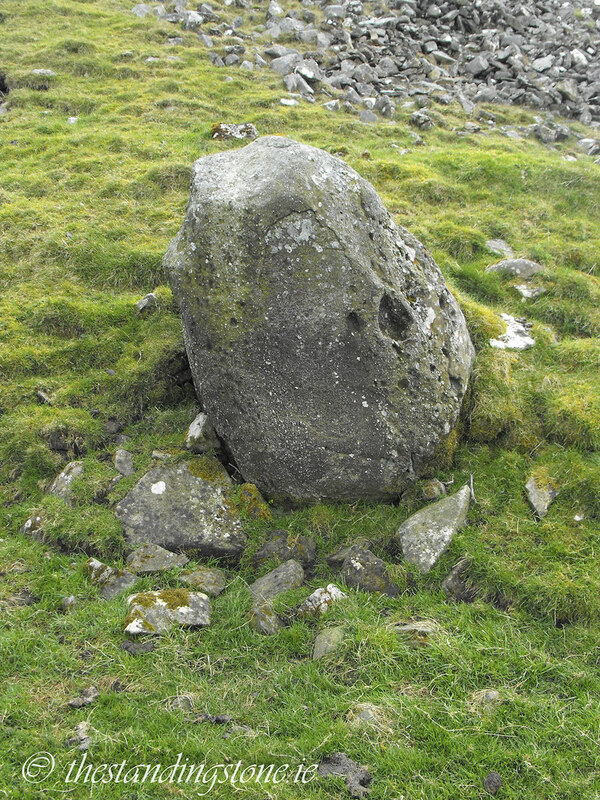 As seen while approaching across the fields. 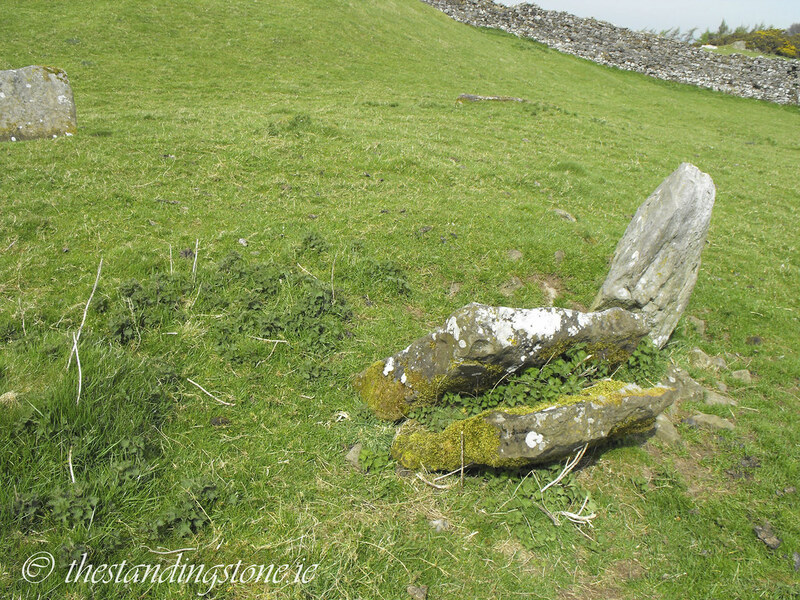 You can clearly see here where Conwell tried to cut his way through the cairn. 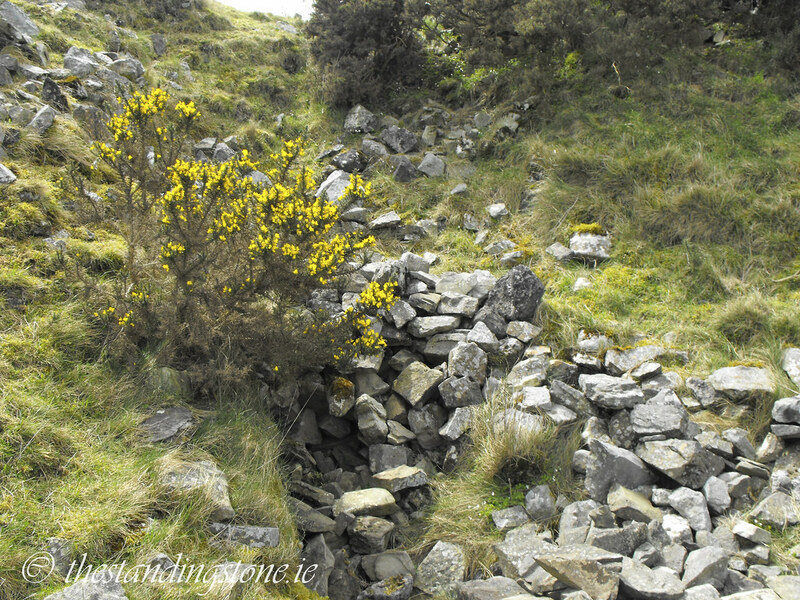 Slowly but surely nature is reclaiming this cairn. 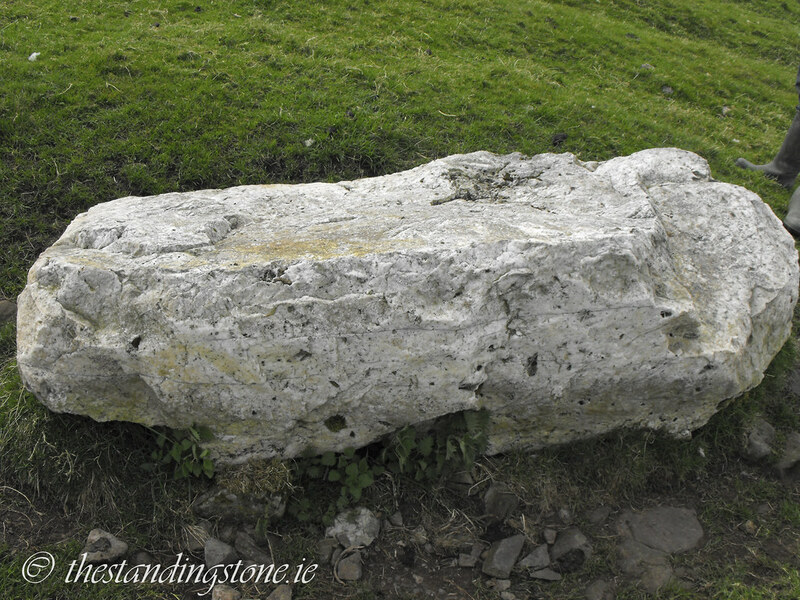 At some places the kerb is covered up by luckily many stone still remain. 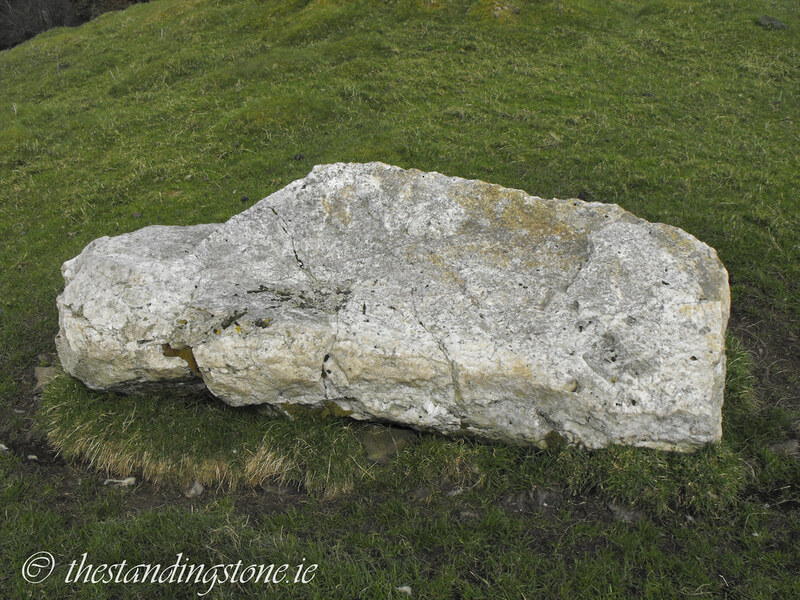 This stone almost has bullaun-esque features.